I’m always happy to find another author who uses the magic of words and the potentially powerful imagery inherent in them to bring awareness of environmental issues, animal rights and nature conservation to the world. Sonia Faruqi is one such author, having written two books, both of which she says happened accidentally! 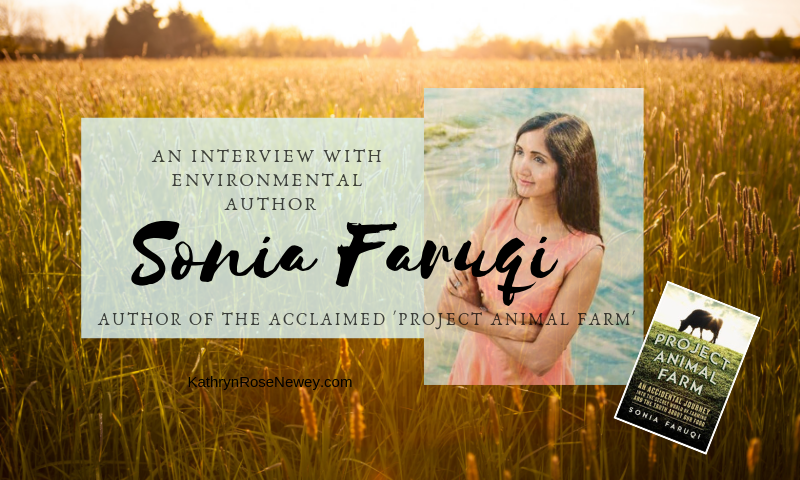 I interviewed Sonia in August 2018 about her work – you can view the video of this interview below. 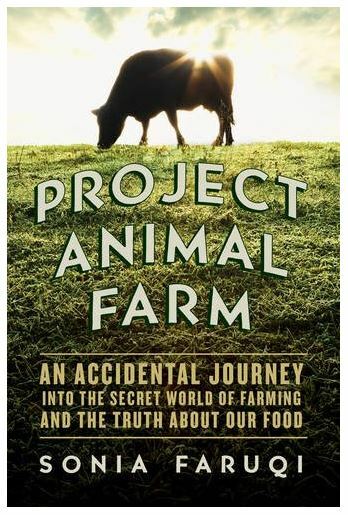 Project Animal Farm, her first book, is a critically-acclaimed investigation into intensive factory farming. While volunteering at an organic dairy farm, in what Sonia imagined was going to be a short, idyllic holiday between jobs, she discovered that even organic farms treat their animals as commodities and that the peaceful, grass-fed existence we imagine for dairy cows is nothing close to the truth. This experience led her on an unquenchable thirst for knowledge in eight countries around the world – to learn about how animals are treated in various types of farms around the world, why there isn’t greater transparency about the terrifying cruelty so often built into the intensive farming system, and what it might take to solve the unsustainable global crisis known as ‘modern farming’ for meat, dairy and eggs. 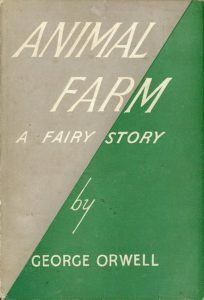 I like Sonia’s choice of title for this documentary book, which cleverly alludes to George Orwell’s novel Animal Farm, about farm animals who symbolise proleteriat workers, and who don’t realise they are being controlled by sinister forces larger than themselves. Sonia has a rare gift for description – the farm and slaughterhouse workers, managers and farmers she met along the way (she says they’re true to life except for their names which she’s changed for privacy) jump off the pages like characters you wouldn’t be surprised to find in a dystopian novel. She includes research and statistics about the laws, policies and practices around factory farming, and this book, which could be emotionally challenging for some readers in places (I burst into tears when she described the slaughterhouse scenes), should, in my opinion, be compulsory reading for everyone aged 15 or over. 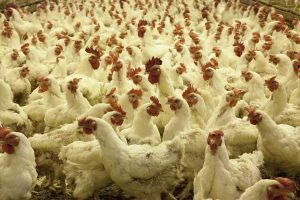 I feel very strongly that if more people know the truth about the often deceptive, corrupt and heartless world of factory farming, then many more consumers would shun meat, dairy and eggs, and farm animals might be able to live their lives in peace, just as they have a natural right to do. 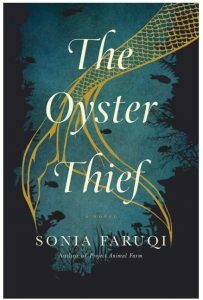 Sonia’s second book, The Oyster Thief, described as “an underwater odyssey”, is an extraordinary novel about merpeople in the Atlantic Ocean. In the richly and accurately-researched undersea environment, Sonia immerses herself and her readers in a story about love, betrayal and destruction of the ocean. 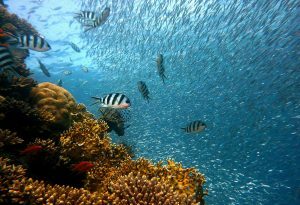 Through the eyes of the merpeople, many fearful of humans through past experiences, we learn about real and current environmental issues affecting the Earth’s oceans, including undersea mining for minerals and oil, and how coral reefs, the lifeblood of the oceans, are suffering from human activities. Sonia says she sat down to write The Oyster Thief one cold, January morning, when she felt frustrated that she couldn’t escape to a warmer place. So she began creating an imaginary world, which turned into a novel! Painstakingly researched, and informed by Sonia’s experiences including diving with sharks, the story introduces you to the myriad of different types of corals and undersea creatures which inhabit the Atlantic Ocean, as we follow Coralline, a mermaid, and Izar, a human on a quest for a life-saving elixir. You can watch the video interview with Sonia below. Catch up with her at her website SoniaFaruqi.com or on social media: Twitter, Facebook and Instagram. 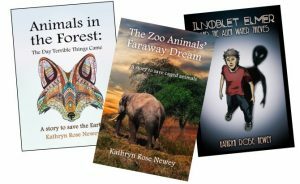 Kathryn Rose Newey is an author of unique novels with environmental themes, for young adults, teens and children. In fact, her books are suitable for anyone who cares about animals and the planet. Her books include: The Zoo Animals’ Faraway Dream (a story to save caged animals), Animals in the Forest: The Day Terrible Things Came (a story to save the Earth), and Ilnoblet Elmer and the Alien Water Thieves (fun and educational science fiction). Her next book will be a story to save trees.